The spring release from Fort Berens Estate Winery includes its first Dry Riesling, doubling the Riesling offerings from this Lillooet winery. 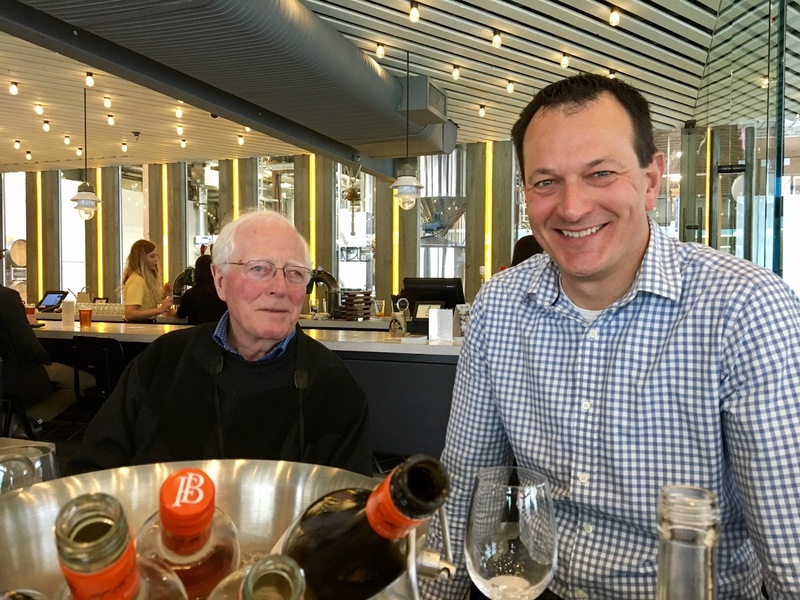 Riesling is something of a signature wine at Fort Berens, perhaps because Rolf de Bruin, one of the owners, is a dedicated fan of dry Riesling. In that vintage and in the 2012, fermentation stopped before the Riesling was totally dry. However, the wines were so well received in the market that Fort Berens continued to release the off-dry version every successive vintage. Most consumers would not consider the wine off-dry because the amount of residual sugar is modest and is balanced with good acidity. The 2016 “regular” Riesling has just seven grams of residual sugar. It adds texture to the wine but the sweetness is barely noticeable. But Rolf still wanted a dry Riesling. 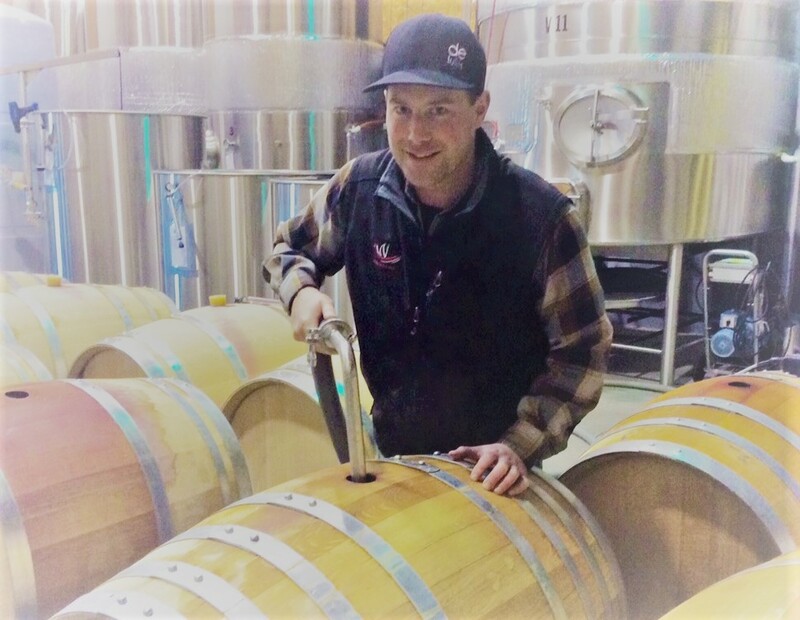 He told winemaker Danny Hattingh, who joined Fort Berens in 2014, about the previous stuck ferments. Danny made trial lots of dry Riesling in 2014 and 2015 just to prove it could be done. The trial lots were then blended with the regular Riesling, because the winery’s production was not large enough for a separate bottling. Rolf and his wife, Heleen Pannekoek, pioneered commercial wine growing in Lillooet by planting a 20-acre vineyard in 2009 and subsequently by building a handsome winery in 2014. Over the next two years, another 20 acres of vines will be planted. As well, Fort Berens soon expects to be getting Pinot Gris and Pinot Noir from a new vineyard at nearby Lytton. The reference to Danny and Megan is to the youthful South African couple who are having a major impact at Fort Berens. Danny has degrees in viticulture and enology from an institute at Elsenburg in South Africa. He has been the winemaker at Saturna Island Vineyards and at several Okanagan wineries. He has also worked in South Africa, Oregon and Washington. Lillooet also is turning out to be good Riesling terroir, producing grapes with good sugar, good acidity and singular tropical flavours. “We are helped because the diurnal temperature swing is huge,” Rolf believes. “In 2015, on the first full moon in September, it was 32◦C in the day and 2◦C at night.” He puts that down to the rugged terrain and high mountains towering over Lillooet. Here are notes on the four 2016 wines released recently by Fort Berens. 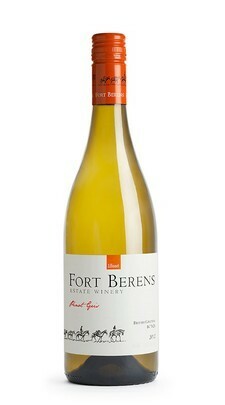 Fort Berens Pinot Gris 2016 ($17.99). This delicious wine is packed with fruit – aromas and flavours of apples and pears with a hint of anise on the finish. The wine is crisp and refreshing. 91. Fort Berens Riesling 2016 ($16.99). The seven grams of residual sugar are balanced by nine grams of acidity, giving a perception of dryness without austerity. There are aromas and flavours of tropical fruit, along with grapefruit and a spice of minerality. The finish is refreshing. 90. 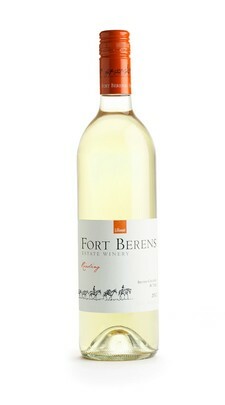 Fort Berens Dry Riesling 2016 ($18.99). The wine is fresh and tangy, with hints of lime in the aroma and on the palate. The generous weight on the palate support flavours that linger. The finish is dry but not austere. The wine is good now but will be even better with a few years of bottle age. 91-92. 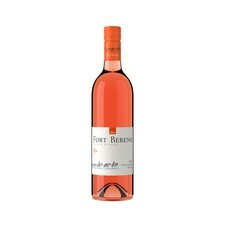 Fort Berens Pinot Noir Rosé 2016 ($17.99). Two and a half days of skin contact before fermentation have given this wine a delicate rose petal hue. It has aromas and flavours of strawberry. The texture is silky but the finish is dry and refreshing. 90. Several years ago, I had a hilarious confrontation with an Italian vintner at a tasting in Vancouver. I think of it every time that Hester Creek Estate Winery sends the latest release of its Trebbiano. The vintner, whose name I have forgotten, was from Tuscany. A friend had recommended I taste his wines because of their high quality. Indeed, the wines he was pouring were excellent, including a crisp and complex Trebbiano. I complimented him on the wines and then added that a producer in the Okanagan also made an excellent Trebbiano. Indeed, it was raining outside the Vancouver venue that day. But I told him that our major wine region was 400 miles east of Vancouver, with two intervening mountain ranges blocking most of the rain from the vineyards, which must be irrigated. The vintner snorted again in derision. “You don’t have the soils,” he said. I rebutted that with a description of the Okanagan’s complex geology. The Hester Creek vineyard is on a peninsula of soils deposited by the glaciers. There is everything in the soils from gravel and clay to traces of ancient volcanoes. The vintner’s third objection was that the Okanagan lacked Italy’s long tradition of wine and viticulture. Of course, I could not quite match that. But I pointed out that the man who planted the Trebbiano vines (and other varieties) in 1968 was an Italian immigrant named Joe Busnardo. So we have a link to that historic tradition. Here is a biographical sketch from my 1996 book, British Columbia Wine Companion. When he was growing up on a farm at Treviso, north of Venice, and when he studied at a nearby agriculture school, [Joe Busnardo] "never liked any plant but grapes." He came to Canada in 1954, a twenty-year-old bachelor, and by 1967 scraped together enough to buy sixty-eight acres on an eastward-facing sloping bench just south of Oliver. He imported twenty-six varieties of vinifera grapes from Italy and a further fifty-six varieties from the University of California in Davis. Busnardo's planting of pinot bianco (Italian for pinot blanc) was one of the earliest and largest plantings of what now is recognized as a vinifera superbly suited to the Okanagan. He ignored the established wineries and professionals in the Okanagan who urged more hardy hybrid varieties [such] as bath, a labrusca grape totally unsuited for table wines. With the wineries not prepared to pay a premium for his low-yielding vinifera, the struggling Busnardo took a job as a heavy-duty mechanic for the city of Penticton and simply neglected his vineyard. "I closed the farm down," he recalled. "I didn't even prune the grapes." His father visited him, shook his head and advised Joe to rip out the vineyard. The bitter winter of 1978-'79 killed the next season's growth on many vines in the Okanagan and destroyed some vines entirely. But Busnardo found that his casually-tended vineyard had come through the winter, proving that his faith in vinifera was not ill-founded. By coincidence, the first estate winery regulations had been issued by the provincial government in 1978. Busnardo now decided to get a winery license. Untrained as a winemaker, Busnardo launched Divino [Estate Winery] on a wing and a prayer, making wines in the traditional method that he remembered from his father's farm. "I just throw in the grapes and hope for the best," he said at the time. The occasional winemaking mistake slipped by: once, 5,000 bottles of pinot blanc had to be taken off the market after the harmless but unsightly residue of the fining agent began settling out in the bottles. Busnardo survived and learned from such experiences; subsequently, a brother, Guido, began coming from Italy to help with the winemaking which became more sure-handed with each passing vintage. The vineyard once had as many as 128 different grape varieties, a testimony to Busnardo's undisciplined curiosity about the vine. It also has made for a wide range of releases from the winery, among them several that no one else has. Divino has been the only winery to release varietals made from garganega, trebbiano and malvasia, all important to vintners in Italy. Garganega, for example, is the principal grape for the production of Soave, a well-known delicate white made in the northern Italian winegrowing district of Veneto. But Divino has been at a disadvantage with these varietals because, in the British Columbia market it targets, these whites are scarcely known and, as much as Busnardo argues -- and rightly so -- that consumers should explore wines beyond the mainstream varietals, not many leave the beaten track. The winery was sold in 1996, to become Hester Creek. Joe moved Divino to the Cowichan Valley where he sometimes still presides in the tasting room Friday and Saturday afternoons. Hester Creek has been totally transformed by the team that has owned and run it since 2005, including Rob Summers, the veteran winemaker. The vineyard has been rationalized but some of Joe’s original plantings have been retained, including the Trebbiano. I regret that I never had a bottle to share with the Doubting Thomas from Tuscany. Here are notes on two currant releases. Hester Creek 2016 Old Vines Trebbiano Block 16 ($23.95). The wine begins with alluring aromas of apple, melon and grapefruit. Intense flavours of apple, pear and citrus dance across the palate. With good acidity, the wine has a finish as fresh as a morning in spring, with a remarkable persistence. This surely is one of the best Trebbiano wines in the world. 93. Hester Creek 2016 Rosé Cabernet Franc ($19.95). This dry rosé has intensity both in the hue and in the flavours. It begins with aromas of strawberry and cherry, leading to a potpourri of rich berry flavours – strawberry, black cherry – with a touch of vanilla and red licorice on dry finish. 91. Recently, the Painted Rock Merlot 2013 noted below was one of the Canadian wines served at a dinner in Stockholm at which Sweden’s King Carl XVI Gustaf was a guest. The king was so impressed with the wine that he asked if he could buy it in Sweden. Painted Rock owner John Skinner (who was not at the dinner) has initiated talks with Sweden’s liquor monopoly, the Systembolaget. The anecdote is an example of the reaction British Columbia wines are receiving outside the province. Painted Rock is just one of the wineries beginning to export some wines. It is a question that is asked all the time: are BC wines exported? Yes – but not is great volume (except for Icewine). On a world scale, the BC wine industry is small – and lucky BC consumers drink most of the wine. Here are notes on the second half of Okanagan Falls Winery Association’s recent tasting in Vancouver. Vineyard & Winery was opened in 2005 by former Calgary lawyer Jim D’Andrea and his wife, Leslie (right). The vineyard benefits from multiple exposures, enabling them to grow Cabernet Sauvignon on one slope and Pinot Noir on the opposite slope, among other varietals. Noble Ridge “The One” 2012 ($40 for 234 cases). This sparkling wine is 81% Chardonnay, 19% Pinot Noir. It spent 41 months en tirage before being disgorged. Crisp and refreshing, the wine has aromas of green apples and citrus leading to flavours of apple and grapefruit framed by hints of biscuit. 92. Noble Ridge Pinot Grigio 2015 ($19.90 for 422 cases). The winery delayed releasing this until this spring, having concluded that Pinot Gris benefits from some bottle age. The wine has aromas of citrus and peach which is echoed in the flavour. While the wine was fermented in stainless steel, two per cent was aged in four months in French oak. The touch of oak adds structure and complexity. 90. Noble Ridge Reserve Chardonnay 2013 ($29.90 for 415 cases). The 14 months this wine aged in French oak contributed to a rich and creamy texture. The wine begins with aromas of citrus, toffee and vanilla which are echoed in the marmalade flavours. 91. King’s Ransom Pinot Noir 2013 ($55 for 93 cases). This wine begins with aromas of cherries and raspberries. The palate is intense, with flavours of spicy cherries mingled with toasted oak. The texture is full, leading to a velvet polish on the finish. 94. Painted Rock Estate Winery opened in 2009, based on a vineyard sandwiched between the Skaha Climbing Bluffs and Skaha Lake. The view from the wine shop – itself stunning architecture – is one of the Okanagan’s most dramatic vistas (left). Painted Rock Rosé 2015 ($21.69 for 483 cases). This is a blend of juice from Merlot, Cabernet Franc, Malbec, Cabernet Sauvignon, Syrah and Petit Verdot. It begins with aromas of strawberries, cherries and rhubarb, leading to tangy flavours of strawberries and red berries. 89. Painted Rock Merlot 2013 ($34.99 for 1,746 cases). The Swedish king got to taste a wine that is densely concentrated, delivering aromas and flavours of black currant, black cherry and blueberry, with dark chocolate on the finish. The oak aging has given this a touch of vanilla. 91. Painted Rock Syrah 2013 ($34.99 for 1,622 cases). The wine begins with a whiff of pepper, plum and black cherry leading to earthy and meaty flavours of dark fruit, punctuated by pepper on the finish. 92. Painted Rock Red Icon 2014 ($55 including tax). This is 33% Merlot, 21% Cabernet Franc, 19% Malbec, 16% Petit Verdot and 11% Cabernet Sauvignon. Once again, it was aged 18 months in French oak (30% new), accounting for the svelte, polished texture of its long, ripe tannins. It begins with aromas of black cherry, black currant, spice and vanilla. The palate is rich, with flavours of black cherry and black currant mingled with notes of blackberry, mocha, tobacco, vanilla and spice. The wine, if decanted, is accessible now but is built to age for 10 or 15 years. 94. Pentâge Winery is on the southern outskirts of Penticton – too far south to belong to the Naramata Bench Winery Association. Its contribution to the Okanagan Falls group includes a unique 5,500-square-foot cellar and winery (right). Paul Gardner spent 10 years carving a cellar into rock at the top of the vineyard. The big glass doors at the front give him a view over the wines; and give visitors a view deep into cellar. Pentâge Roussanne Marsanne Viognier 2012 ($27). This is a very complex white wine, with stone fruit aromas and flavours. Even though the wine is five years old, the fresh, crisp apple and pear flavours are remarkably youthful. Try it with fresh oysters. 90. Pentâge Roussanne Fizz 2015 ($20). This is an excellent Charmat method sparkling wine with citrus aromas and flavours. The finish is crisp. 91. Pentâge Hiatus 2013 ($23). The price signals the intention here is that this should be an approachable red. It is a blend of 37% Cabernet Sauvignon, 32% Cabernet Franc, 17% Merlot, 10% Malbec and 2% each of Petit Verdot and Tempranillo. The wine has aromas and flavours of plums and ripe cherries. 89. Pentâge GSM 2013 ($30). This is 40% each of Grenache and Syrah and 20% Mourvedre Pentâge. Dark in colour, this wine has spicy fruit aromas, leading to flavours where deli spice mixes with dark fruit, black cherry and licorice. 91. See Ya Later Ranch is high up on a hillside with picnic area overlooking Okanagan Falls. The winery has a dog-friendly policy inspired by a former owner of the property (before there was a winery). Major Hugh Fraser loved dogs and, when they died, buried them under headstones. The headstones now have all been placed around a tree at the front of the tasting room. Several wines also are named after various of his dogs. See Ya Later Ranch Sparkling Brut NV ($23). This is 100% Chardonnay, bottle fermented in the traditional method. The wine has aromas and flavours of apples and grapefruit with a hint of brioche. The bubbles give a richness to the palate while the finish is crisp. 89. See Ya Later Ranch Gewürztraminer 2016 ($18). The north-facing vineyard on the slope above winery is regarded one of the best sites in the Okanagan for this varietal. The wine begins with aromas of rose petals, spice and lychee which are echoed on the palate. Hats off to the winemaker: this is dry, food-friendly Gewürztraminer. If only more Okanagan wineries had the courage to dry out this varietal instead of producing palate-boring off-dry versions. 90. See Ya Later Ranch Pinot Gris 2016 ($18). Pinot Gris also does well on this slope, although much of the fruit is from the Thomas Vineyard just south of Okanagan Falls. Six percent was fermented in stainless steel, 40% in French and American oak barrels. The oak notes remain in the background of this dry, fruity wine with flavours of apple and pear. Bright acidity leaves a crisp and fresh finish. 90. See Ya Later Ranch Rover Shiraz Viognier 2014 ($25). Rover was the name of one of the major’s 12 dogs. The wine barks boldly with black pepper and dark fruit aromas. It has flavours of plum, fig and fruit cake punctuated by pepper on the finish. The firm texture suggests the wine will age well under its screwcap closure. 90. Winery opened in 1996, one of the trio of wineries that laid a foundation for Okanagan Falls winegrowing. Owners Larry Gerelus and Linda Pruegger, in a major lifestyle change, formerly were in professional jobs in Calgary. 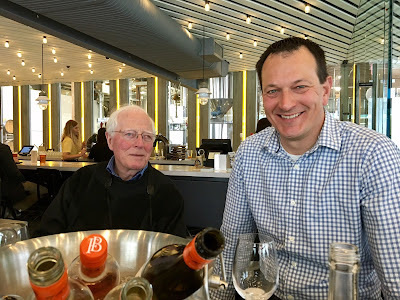 A number of winemakers cycled through the cellar until 2008 when Dwight Sick (left), a former airline flight attendant with remarkable winemaking talent, came here. Stag’s Hollow Albariño 2016 ($21.99 plus tax). This is the second vintage of Albariño, which Stag’s Hollow grows in its Shuttleworth Vineyard, just south of Okanagan Falls. The Spanish white seems to do well in the Okanagan. This is a zesty and fresh wine with aromas and flavours of melon and green apple. 91. Stag’s Hollow Tragically Vidal 2015 ($16.99 plus tax). Vidal was already in this vineyard when Larry and Linda bought it. They began grafting some to Chardonnay, calling Vidal “tragic” because it was a vanishing variety. Then the wine developed a loyal following, perhaps because the juicy, tangy flavours of lime, lemon and apple are so appealing. 89. Stag’s Hollow Tempranillo 2013 ($25.99 plus tax). This is a blend of 85% Tempranillo, 9% Cabernet Sauvignon, 4% Syrah and 2% Petit Verdot. The wine begins with what the winery calls “masculine” aromas of leather, prunes, coffee and sweet tobacco. I agree entirely with those descriptors. On the palate, there are flavours of black cherry, plum and vanilla. 91. Stag’s Hollow Renaissance Merlot 2014 ($34.99 plus tax). This is perhaps the flagship red at this winery and this is the first closed with a screw cap. There is 10% Cabernet Sauvignon in the blend. The wine was fermented in small fermenters, finishing its fermentation and aging in small French oak (50% new) for 15 months. The wine begins with aromas of black cherry and vanilla. On the palate, the suite of dark fruit flavours includes black currant, black cherry and plums mingled with mocha and coffee. 92. Synchromesh Wines, opened in 2011 by Alan Dickinson (right), is emerging as a pre-eminent specialist in Riesling. Synchromesh fans will be delighted to learn that he has recently bought more land adjacent to his vineyard. The intent is to plant more Riesling. Synchromesh Riesling 2016 ($22). This is a blend of grapes from four different vineyards. The wine is juicy with flavours of lemon and lime. The balance between the residual sugar and the bright acidity gives the wine a crisp finish. 90. Synchromesh Riesling Bob Hancock Vineyard 2016 ($26 for 442 cases). This vineyard is at the northern end of Naramata Road. The wine balances 38.2 grams of residual sugar with a total acidity of almost 10. The aromas and flavours are intense, beginning with apple and lemon on the nose and evolving to lime and grapefruit on the palate. 92. Synchromesh Riesling Four Shadows Vineyard 2016 ($26 for 504 cases). The Four Shadows Vineyard is just east of Penticton. This wine has 52.2 grams of residual sugar balanced with 8.85 total acidity. This gives the wine fleshy texture on the juicy palate, with flavours of pineapple, grapefruit and mango. 92. Synchromesh Riesling Stormhaven Vineyard 2016 White Label ($26 for 88 cases). Stormhaven is the vineyard at the estate in Okanagan Falls. The grapes for this wine are from a 2010 planting. This wine again balances racy acidity against residual sugar. The perception is that the wine is dry (technically, it is not) but with generous fruit flavours of lime, apple, mango with a spine of minerality. 91. Synchromesh Riesling Stormhaven Vineyard 2016 Black Label ($40 for 182 cases and 24 magnums). In typical Synchromesh style, bright acidity balances 38 grams of residual sugar, resulting in a perception of dryness. The wine is packed with intense aromas and flavours of lime, mango and peach with a spine of minerality. This wine will age spectacularly well. 93. Wild Goose Vineyards & Winery was opened in 1990 by the Kruger family; it was the original farmgate wine in the Okanagan Falls area. Adolf Kruger, the family’s elder statesman, died last year, leaving the business in the hands of his sons, Hagen and Roland, and grandson Nik. Wild Goose Riesling 2016 ($16.62 plus tax). This is a crisp, refreshing Riesling with aromas and flavours of grapefruit and lemon with a backbone of minerals. 90. Wild Goose Pinot Gris 2016 ($16.52 plus tax for 5,200 cases). The winery boasts that this wine “will make you the most popular person at dinner parties!” It just might. It is packed with generous fruit, with peach and pear aromas and flavours. There is a touch of spice on the finish. 91. Wild Goose Mystic River Gewürztraminer 2016 ($20 plus tax for 200 cases). This is a wine of superb intensity, beginning with aromas of spice and lychee. On the palate, there are flavours of lychee and grapefruit, punctuated with rose petal spice. 93. Wild Goose Red Horizon Meritage 2014 ($21.74 plus tax for 500 cases). This is a blend of 55% Merlot, 25% Cabernet Sauvignon and 20% Petit Verdot., It begins with aromas of cassis and black cherry, leading to flavours of dark fruit, dark chocolate and licorice. 90. The recent spring tasting by the Okanagan Falls Winery Association provided an early and comprehensive look at wines from the 2016 vintage. The news is very good. The white wines and the rosé wines are among the best yet from the Okanagan. (Red wines, of course, have not been released yet). The wines reflect a vintage that began with bud break in early April, giving the vines a three-week head start on the season. That was fortunate because there was frost one night in mid-October that froze a lot of leaves. But it had been a generally even growing season without much excessive heat. Flavours developed well and the essential acidity was maintained. The result: white and rosé wines with good to intense flavours. The wines are focussed and clean, with long and refreshing finishes. It bodes well for the reds. The 2017 vintage is starting much more slowly, as one might guess from the snow on the Coquihalla. It is, of course, much too early to start tearing hair out about the 2017 vintage, especially when the 2016s are showing so well. Also note that wines from earlier vintages were being poured as well. The Okanagan has had five good vintages in a row. This is part one, with a concluding part to follow, just to keep the size of the blog manageable. Blasted Church Vineyards. Elaine Vickers (left), who has a graduate diploma in winemaking from the University of Adelaide, was so determined to become a winemaker that she took a job as a cellar hand at Blasted Church late in 2010. After working with consultant Mark Wendenburg, she was promoted to winemaker within a few years. AS well-earned promotion. Little known fact about Elaine: she once played Ultimate Frisbee. But wine is what she does best. Blasted Church OMG 2012 ($24.90). This sparkling wine is 66% Pinot Noir, 22% Chardonnay and 12% Pinot Blanc. It begins with aromas of pear and apples that are echoed in the flavours, along with a hint of brioche from the yeast lees. The finish is crisp. 90. Blasted Church Hatfield’s Fuse 2015 ($17). This is a 10-grape blend: 22% Gewürztraminer, 21% Pinot Gris, 20% Viognier, 13% Optima, 8% Ehrenfelser, 5% Pinot Blanc 4% Chardonnay, 4% Chardonnay Musqué, 2% Orange Muscat and 1% Riesling. The wine, as a result, is a big, delicious fruit bowl. 90. Blasted Church Pinot Gris 2015 ($20.50). This is a crisply dry wine, with aromas and flavours of melon and green apple. The finish is refreshing. 89. Blasted Church Big Bang Theory 2015 ($19). This is a blend of 50% Merlot, 15% Malbec, 10% each Cabernet Sauvignon and Pinot Noir, 9% Lemberger and 6% Syrah. Here is an accessible red, ready for the barbecue this summer. The aromas and flavours of cherry and blueberry mingle with generous, toasty oak. 90. Blasted Church Nothing Sacred 2014 ($45). This is the winery’s flagship Bordeaux blend: 40% Merlot and 20% each Petit Verdot, Malbec and Cabernet Sauvignon. This is a full-bodied wine with aromas and flavours of blackcurrant, blackberry, and spicy fruit cake. 92. Blue Mountain Vineyard & Cellars. This producer has always impressed as an anchor of the Okanagan Falls group of wineries. This is doubly so now that the winery opens its tasting room to the public each summer, something it has done for five or six years. Blue Mountain Gold Label Brut NV ($23.90). This wine has long been a benchmark for affordable quality sparkling wines. It is crisp and fresh, with some citrus on the nose and in the flavour. 90. Blue Mountain Reserve Brut 2008 Recently Disgorged ($39.90). Here is an elegant sparking wine that goes toe to toe with Champagne. It is a blend of 50% each Pinot Noir and Chardonnay. It was on the lees for six and a half years before being disgorged, acquiring the classic brioche aromas and flavours of Champagne. The finish is crisp. 92. Blue Mountain Chardonnay 2015 ($21). Half of this was fermented and aged in stainless steel while the other half was fermented and aged on the lees in oak for 11 months. The result is satisfying complexity, with notes of citrus and vanilla in the aroma. The wine has flavours of lemon and lime with a hint of butter. The texture is rich and the finish lingers. 91. Blue Mountain Pinot Noir Reserve 2013 ($N/A). I cannot find this on the winery’s website; perhaps it is sold out but was poured as a treat. The wine begins with aromas of cherry and vanilla, leading to intense flavours of cherry with a touch of good French oak. The texture is evolving towards silkiness. 92. Crescent Hill Winery is the northern-most and newest member of the Okanagan Falls Winery Association. The winery, which is just completing its tasting room, is at the southend of Penticton with a view to the west over Skaha Lake. Owner Teresa Wiseman honours her father, Glennallyn Murray, in the label of the Gewürztraminer. He was a pioneering grower here. Crescent Hill Glennallyn Gewürztraminer 2014 ($NA). This intense wine, with notes of spice and lychee, recalls Alsace in its style. 88. Crescent Hill Cristal’s Fault Riesling 2015 ($NA). With notes of citrus and apple on the nose and palate, this is a crisp and refreshing wine. 88. Crescent Hill Olde Orchard Pearl of Csaba Muscat 2015 ($NA). Pearl of Csaba (with variations on the spelling) is a spicy white variety that once had a greater role in Okanagan winemaking. Hats off to Teresa for continuing to feature it. The wine has delicate aromas of rose petals, with spicy fruit on the palate and a dry finish. 89. Crescent Hill Consensual Chaos 2016 Rosé ($NA). Crisp and dry, this rosé has aromas and flavours of cherry and cranberry. 88. Krāzē Legz Vineyard & Winery opened in Kaleden in 2010. Susan and Gerry Thygeson (below) named it Krāzē Legz, theming the labels and the wine shop around the high kicking dance steps of the Roaring 20s. In recent years, the labels have transitioned to the more contemporary Skaha Vineyards. Skaha Vineyard Unoaked Chardonnay 2016 ($21). This fruit-forward Chardonnay is bursting with aromas and flavours of apple, pineapple and stone fruit. The flavours are clean and refreshing; the spine of minerality adds a note of complexity. 90. Skaha Vineyard Mystique 2016 ($21). This is a blend of 60% Pinot Blanc and 40% Chardonnay. The wine was fermented cold in stainless steel and the result exhibits a pristinely fresh focus of aroma and flavour. The wine delivers notes of apple, melon and pineapple. 90. Skaha Vineyard Rosé 2016 ($21). This is a Merlot rosé with an appealing pink hue, aromas of strawberry and flavours of strawberry and cranberry. The finish is crisp and dry. 89. Skaha Vineyard Cabernet Franc 2014 ($26). This is a bold wine with aromas of blackberry and raspberry and flavours of blackberry and black cherry. The structure is firm, suggesting the wine has five to seven years of further development in your cellar if you are patient. 90. Skaha Vineyard Rogue 2014 ($49 for 500 ml). This is a fortified Merlot in the style of Port. It is a rich wine with flavours recalling a good fruit cake. 90. Liquidity Wines occupies one of the most attractive wineries in Okanagan Falls. Its wine shop is in an architecturally-striking building that also includes an excellent restaurant and a small art gallery. Liquidity Pinot Gris 2016 ($18). This wine sparkles with focussed fresh fruit flavours – lime, grapefruit, pear – with a crisp, tangy finish. 92. Liquidity Collage 2016 ($18). This is a blend of 34% Pinot Blanc, 34% Gewürztraminer, 21% Sauvignon Blanc and 11% Pinot Gris. It begins with aromas of herbs and spice and delivers a basket of tropical fruit flavours. The finish is dry. 91. Liquidity Viognier 2016 ($25). This crisp and refreshing wine delivers flavours of citrus and stone fruit, with a touch of anise on the finish. 91. Liquidity Chardonnay Estate 2015 ($26). Winemaker Alison Moyes (right) built complexity into this wine by fermenting and aging it 11 months on French oak; and allowing just one third to go through malolactic fermentation. The result is a wine with bright citrus and apple flavours supported by notes of vanilla and a rich texture. 91. Meyer Family Vineyards, which opened in 2008, has a rising reputation as a producer of elegant Chardonnay and sophisticated Pinot Noir. It is one of the few Okanagan wineries that have begun to export to the British market. Meyer Gewürztraminer 2015 ($18). This wine delivers lychee and spice on the palate. The texture is juicy and the wine is balanced to finish dry. 88. Meyer Okanagan Chardonnay 2016 ($20). This is an uncomplicated fruit-forward wine, with a crisp aroma and with appealing flavours of peach and apple. 89. Meyer Micro-Cuvée Chardonnay 2015 ($65). This powerful wine is the winery’s flagship Chardonnay. It was aged 11 months in French oak barrels (50% new). Brioche in the aroma and flavour mingles with lively citrus flavours. This elegant wine will age superbly. 95. Meyer Stevens Block Chardonnay 2016 ($28 for 300 cases). The grapes are from a viticulturally distinctive block in the winery’s Old Main Road vineyard near Naramata. The wine is intensely fruity, beginning with citrus aromas that lead to flavours of guava and citrus. The lingering finish is crisp. 92. Meyer Rosé 2016 ($20 for 175 cases). This is a Pinot Noir rosé made with juice bled from crushed grapes. The technique usually is a win/win situation: the pink wine is delicate but fruit and the subsequent Pinot Noir is more concentrated. This wine has aromas and flavours of strawberry, with a dry finish. 89. Meyer McLean Creek Pinot Noir 2015 ($40). The wine begins with aromas of cherry mingled with toasted oak. On the palate, which is becoming silky, there are flavours of spicy black cherry with a hint of cloves on the finish. 91. Meyer Pinot Noir Reimer Vineyard 2015 ($40). The grapes are from a vineyard in East Kelowna. It is a bright and appealing wine with cherries and red berries dancing across the palate. 91. Meyer Old Block Pinot Noir 2015 ($50). This wine is made from a small Pinot Noir block in the McLean Creek vineyard that was planted in 1994. The clone is unknown but the wine is very good. It begins with aromas of black cherry and plum with hints of forest floor. This is echoed on the palate, where the finish is spicy and savoury. 91. Meyer Micro-Cuvée Pinot Noir 2014 ($65). This wine is made by choosing the best block and best clones from the McLean Creek Vineyard and then selecting the best barrels to produce 110 cases. This was aged 11 months in French oak (50% new). The wine has aromas of cherry and vanilla. On the palate, the flavours of plum and cherry are subtly integrated with toasty oak. The finish has savoury notes of forest floor. 95. Nighthawk Vineyards opened in 2015 on Green Lake Road, a few kilometers west of See Ya Later Ranch Vineyards. Initially, it was a partnership of two couples. Recently, Daniel Bibby and his wife, Christy (right), acquired 100% ownership. Because Danial manages a leading Kelowna hotel, he relies on Matt Dumayne of Okanagan Crush Pad to make the wines. Nighthawk Gewürztraminer 2015 ($19.90). Fleshy in texture and slightly off-dry, this wine delivers abundant flavours of spice and lychee. 89. Nighthawk Chardonnay 2015 ($24.90). This wine was aged in oak for 10 months – just enough to add a hint of vanilla to the sweet citrus flavours. 89. Nighthawk Rosé 2016 ($NA). This is a Pinot Noir rosé. Close your eyes and it takes you to Provence, with its hints of cherry and with its dry finish. 90. Nighthawk Merlot 2012 ($26.90). This wine was aged 18 months in French and American oak barrels. It begins with smoky and toasted aromas from the oak, mingled with black currant. On the palate, there are flavours of plum, black cherry and dark chocolate. 90. Ruby Blues Winery remains one of the few wineries without a formal tasting fee. Owner Prudence Mahrer insists only that visitors smile. There are plenty of reasons to smile when visiting this Naramata Bench winery. It starts with the funky rock music emanating from speakers amid the vines, reflecting the musical tastes the owner developed in the 1960s. Then there are the spiky high heels on sale in the wine shop. The smile will really become wide in tasting the wines, which invariably are packed with flavour. The winery’s numerous awards include four Lieutenant Governor’s Awards of Excellence for previous vintages of Viognier. My profile in John Schreiner’s Okanagan Wine Tour Guide set out to capture this winery’s funky personality. Prudence Mahrer is an effervescent personality who grew up with the music and culture of the 1960s. That included a Rolling Stones song, Goodbye Ruby Tuesday, about a free-spirited young woman following her dream. That inspired the name of the winery when, following her dream, she convinced her husband, Beat, to launch their second Naramata winery in 2008. Unfortunately, an American restaurant chain with 900 locations, Ruby Tuesday’s, has been around since the 1970s (with a single Canadian location in Niagara Falls). When they objected, Prudence renamed the winery Ruby Blues in an apparent allusion to a Beatles song. “Some of the songs from the Sixties have so much meaning in them,” she believes. Red Rooster Winery, which opened in 1997, was their first. They sold the chateau-styled winery in 2005 to Andrew Peller Ltd., intending to retire. They travelled in winter and piloted their floatplanes in summer. Prudence, who also spent the summers running their 5.6 hectares (14 acres) of vineyard, soon discovered how much she missed the winery and meeting the public. Had there been a support group for ex-winery owners, she says, she would have joined it. That is why at 55 (she was born in Switzerland in 1953), she persuaded her husband to start Ruby Tuesday. “That’s the reason why I wanted to start again,” she says. “I can easily do another 10 to 15 years.” Believe it: she and Beat are remarkably athletic, having run fitness centres in Switzerland. Ruby Blues, with an annual production between 2,000 and 3,000 cases (all from Naramata Bench fruit), never will be as large as Red Rooster (16,000 to 20,000 cases). Prudence found that there had been far too much administration and not enough contact with clients. “I want to do what I really loved the most – producing wine, quality wine of course; and then selling it myself to customers,” she says. Winemaker Lyndsay O’Rourke, who trained in New Zealand, is a rising star among Okanagan winemakers, having mentored with consultant Philip Soo. The tasting room at Ruby Blues sparkles with Prudence’s personality. The tasting fee? “The cost for a tasting is a smile,” has become the winery’s slogan. If you are not smiling, she will tease one out of you, perhaps by trying to sell a pair of shoes. The wine labels have always included the red stiletto shoes that Ruby Tuesday might have kicked off to chase her dream. In 2011 Prudence ordered 170 pairs of ladies’ shoes from a cobbler in Vietnam. Since that was written, Lyndsay moved on to devote full time to nearby Tightrope Winery, operated with her husband, Graham. Before she left, however, she mentored Blair Gillingham, the current winemaker at Ruby Blues. Born in Victoria, he was drawn to wine after working a harvest in the Okanagan in 2001. Ruby Blues sells most of its wine from the tasting room. A number of private wine shops in BC also carry the wines. There is a complete list on the Ruby Blues web site. Ruby Blues Gewürztraminer 2016 ($20 for 762 cases). The grapes for this wine are from a 38-year-old planting and it shows in the intensity of the aromas and flavours. The wine begins with aromas of rose petal, spice and grapefruit, with spice, citrus and lychee flavours. The wine is balanced to a dry finish but it is so fruity that my tasting companion thought it to be off-dry. 90. Ruby Blues Pinot Gris 2016 ($20 for 925 cases). This is a thespian Pinot Gris, beginning with bold aromas of pears and apples. The palate delivers intense flavours of pear, guava and ripe apples. The dry finish is refreshing. 91. Ruby Blues Viognier 2016 ($25 for 702 cases). This begins with aromas of Asian pear, apricot and spice, leading to flavours of stone fruit. The wine is clean and fresh with a laser-like focus on the palate. The intensity of flavour is surprising, since the alcohol is just 12.5%, somewhat on the moderate side for this variety which usually develops flavours only with prolonged hang time. Perhaps this reflects the 2016 vintage: bud break was unusually early, making for a long season for flavour development. The pick dates for the three vineyards that supplied the grapes were October 11, October 13 and October 28. The winemaker extracted more flavour with an 18-hour cold soak of half of the crushed berries before pressing. 92. Visitors to Intrigue Wines this spring will find that Roger Wong and his partners have enlarged the tasting room and added an adjoining barrel cellar. For background on this winery, here is an excerpt from John Schreiner’s Okanagan Wine Tour Guide. On a flight to a family vacation in the Maritimes, winemaker Roger Wong and his wife, Jillian, were kicking around names for their new winery when someone observed that wine is intriguing. And they realized they had found the name for the winery they opened in 2009 with partners Ross and Geri Davis. 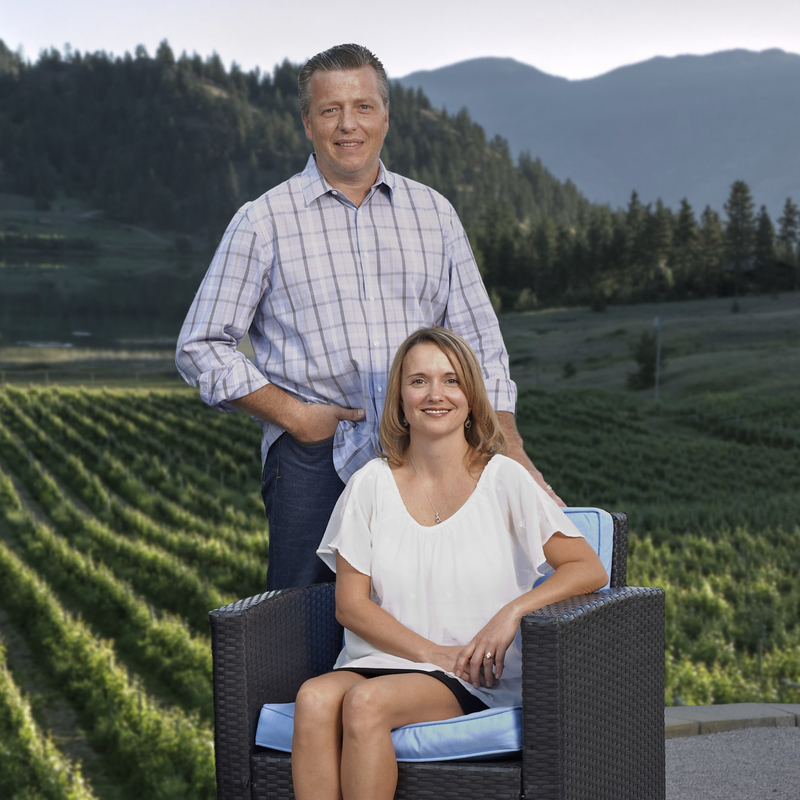 He owns a Kelowna data centre and she is the controller at Gray Monk Estate Winery. Roger, who was born in Vancouver in 1965 and has a geography degree, started making wine at home at 17. When he was 30, he quit his government job (technical records keeper for the Department of Energy, Mines and Resources) to volunteer with Tinhorn Creek in the 1995 crush. They hired him, promoting this keener through the vineyards and cellars and through courses at the University of California. In 1998, Roger took over as winemaker at Pinot Reach Cellars, a Kelowna winery that became Tantalus Vineyards in 2004. In 2005 he moved to Gray Monk to make the red and sparkling wines. Roger’s first independent label was Focus Wines, concentrating on Riesling, the variety he believes is well suited to the north Okanagan. He made the first Focus Riesling in 2002 but the venture stalled in 2003 when smoke from the forest fires saturated Kelowna vineyards and ruined the grapes. The dream was reborn after Roger and Jillian found Ross and Geri to be kindred souls. “We all have the passion,” Geri says. On their two properties near Wood Lake (near Oyama), the couples in 2008 planted 6.9 hectares (17 acres) of vines, the majority being Riesling. In the 2010 vintage, Roger reintroduced a Focus Riesling in a portfolio of Intrigue wines that includes crisp whites, solid Merlots and a sparkling wine. The winery occupies a wing of Ross and Geri’s house. The wine shop nearby, a favourite with the growing number of residents in suburban Lake Country, includes a pleasant picnic area. Obviously, the new barrel cellar liberates some space in Ross and Geri’s home. But the main benefit is that it elevates the experience visitors have in the tasting room. Roger has just released some of Intrigue’s wines from the 2016 vintage. Judging from these and from 2016s that have begun to be released by other wineries, it is a solid vintage for white wines. The rule of thumb is that grapes ripen about 100 days after bloom. In 2016, Roger says, it was 107 days. Intrigue Pinot Gris 2016 ($16.90 for 988 cases). The wine presents with a light coral hue, the result of overnight skin contact before fermentation. That also accentuated the delicious bowl of tropical fruit flavours on the palate. The hint of residual sweetness lifts both the aromas and the flavours. 90. Intrigue 2016 Riesling ($16.90 for 935 cases). Winemaker Roger Wong is a master with Riesling. This is a delicious wine, with aromas of white peach and citrus. On the palate, there is an abundance of fruit flavours including green apples and limes. The imperceptible residual sugar, balanced with fresh acidity, adds to the texture of the wine. 92. Intrigue 2016 SOCIAL White ($14.90 for 3,025 cases). This is a blend of 68% Riesling, 27% Gewurztraminer, 2% Muscat Canelli, 2% Kerner, and 1% Ehrenfelser. The wine begins with floral aromas, going on to flavours of pears, apples and lemon. There are herbal and spicy notes on the dry finish. 89. Intrigue 2016 SOCIAL Rosé ($16.90 for 513 cases). New to the Intrigue portfolio, this is a blend of 49% Riesling, 33% Pinot Noir, 14% Merlot, and 4% Rotberger. Delicately pink in hue, it begins with aromas of strawberry, leading to flavours of strawberry, rhubarb and apple. It is balanced to finish dry and refreshing but with enough residual sweetness to preserve the essential charm of the wine. 90. Intrigue 2015 Frosted Vines ($18.90 for 416 cases). This is a blend of Kerner, Riesling and Ehrenfelser grapes that were picked when touched by a light frost. The wine is deliberately off-dry with 40 grams of residual sugar balanced with 6.2 grams of acid. It begins with the classic petrol aroma of good Riesling. On the palate, it presents luscious flavours of mango, guava and lime. 90. For just the third time in a decade, an Okanagan winery has released a Sparkling Shiraz. Naturally, the winemaker is an Australian – Marcus Ansems MW, the proprietor (with wife Rachel) of Daydreamer Wines at Naramata. I say “naturally” because this style of sparkling red wine was created in Australia and is produced by a number of wineries there. Some of those wines have been in this market from time to time. Currently, the BC Liquor Distribution Branch lists just one – a $37 wine from Majella, a good Australian producer that has cultivated the BC market. Brian Lynn, one of the proprietors, has been a regular participant at the Vancouver International Wine Festival. There is clearly a modest following for this style of wine. There are just over 100 bottles of the Majella wine, spread across 12 stores. That is hardly a critical mass for what is an interesting category. Steller’s Jay, the sparkling wine house spawned by Sumac Ridge Estate Winery, released a Sparkling Shiraz in 2006 and then released its second in late 2015. The latter release, priced at $25, still seems to be available online at Great Estates of the Okanagan. 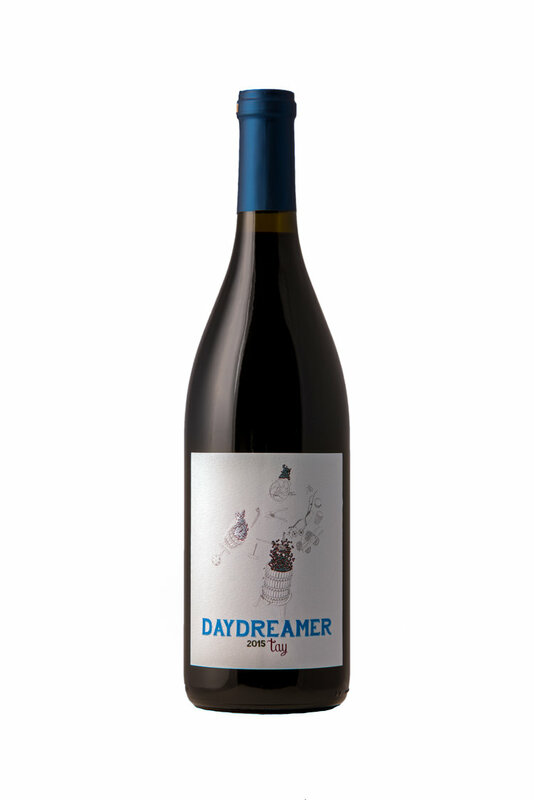 The wine from Daydreamer is a veritable bargain, at $20 a bottle, or $240 a case if ordered online. Daydreamer is the culmination of a family winery dream that Rachel and Marcus share. They operate a boutique winery, producing perhaps 2,000 cases a year. Last year, they opened a tasting room at 1305 Smethurst Road, not far from Nichol Vineyards. It is a cozy and convenient place to visit and, for those not into buying caselots, to buy single bottles. The winery’s website provides no suggestions on how to serve the Sparkling Shiraz and with what food. I think it should be lightly chilled, but not so chilled that the aromas and flavours are anaesthetized. As for food, this is a robust and versatile wine that stands up to full-flavoured food. It can handle anything from strong cheese to pulled pork. I am told Australians quaff the wine at barbecues. Here are notes on that wine and several other releases from Daydreamer. 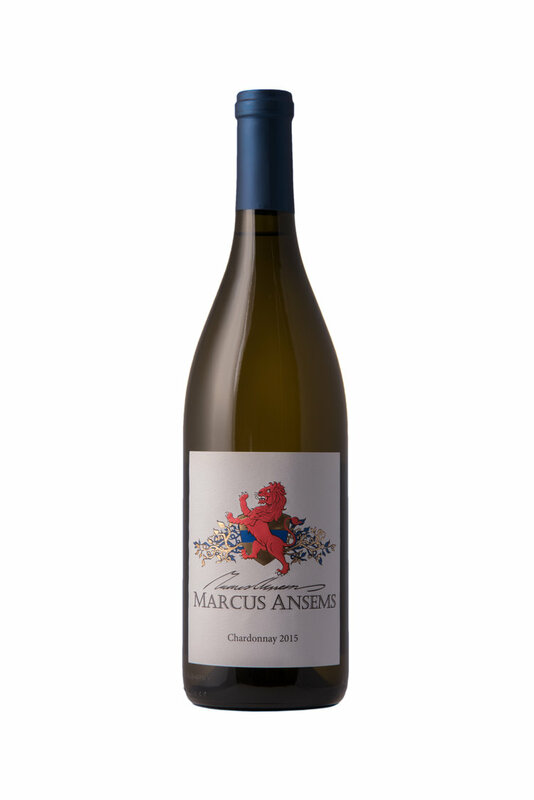 Marcus Ansems Chardonnay 2015 ($17.50). The wine begins with aromas of marmalade mingled with oak. The flavours are intense, with notes of citrus and orange zest. Bright acidity gives the wine a refreshing palate. 90. 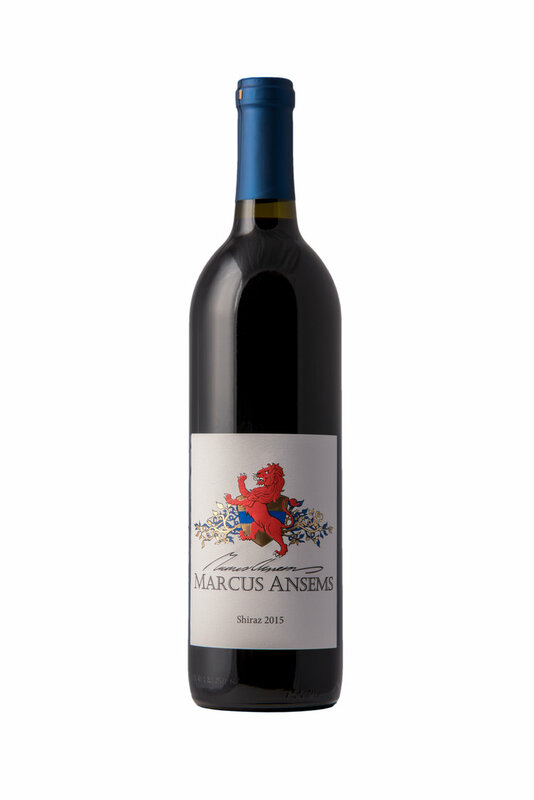 Marcus Ansems Shiraz 2015 ($20). The wine begins with aromas of plum and smoked deli meats. On the palate, there are flavours of plum, fig and pepper mingled with toasted oak. The tannins are soft and ripe. 91. Daydreamer Tay 2015 ($15). This is a Pinot Noir. It is robust on the palate, with aromas and flavours of cherries mingled with toasted oak. The texture is silky. 89. Marcus Ansems Sparkling Shiraz 2014 ($40). Dark in colour, this is frothy in the glass and dry on the finish. Pepper and spice mingle with flavours of plum. The wine’s robust earthiness makes it versatile as a food wine. 90.